IT solutions and our ability to meet customer needs. This designation represents the highest level of expertise and competence with Microsoft tools and indicates the closest working relationship with Microsoft. Having been partnered with Microsoft as a Midmarket Solution Provider since the year 2000, at LeadingEdge we are fully aware of the benefits Gold competency can have for our customers in terms of the services we provide. As a Microsoft Gold Partner, we have access to an exclusive range of Microsoft technologies, resources, training and support, as well as the Partner Knowledge Database. These rich benefits enhance our capacity to deliver integrated access to a range of products and services to meet our customers’ needs. We’re experts in deploying this leading cloud computing infrastructure to businesses seeking a trusted service that provides optimum security and privacy. Microsoft Azure allows businesses to build, set up and manage applications and services through data centres hosted by Microsoft. We recognise the benefits of having access to Microsoft Office applications. The 365 version is the most advanced yet, as it allows you to work anywhere, anytime and on any device. 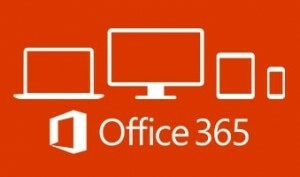 We’ve been deploying Microsoft Office 365 to our clients for many years and can guarantee it will make a valuable addition to your IT infrastructure. 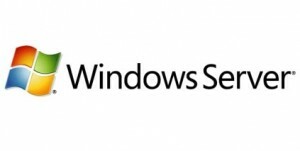 Designed to work with existing software and hardware, Microsoft Windows Server is one of the most efficient server operating systems for your IT. We’re proud to deploy this tool to businesses who require fast, flexible, easy to use services, along with enhanced data storage and communication functions. This web application platform is one of our most popular Microsoft tools, which we deploy to a range of businesses to help them streamline data storage, organisation and sharing. Sharepoint refers to several products and downloads that can benefit different organisations, based on their specific requirements. At LeadingEdge we can ensure a tailored Sharepoint solution to meet your needs. At the heart of our work is ensuring the deployment of specialised IT solutions to drive business growth. Earning Gold status as a Midmarket Solution Provider allows us to maximise our capabilities of ensuring our customers have the wind in their sails to transform as a workforce, and gain a vital advantage over their competitors. To find out more about our IT services, visit our IT Consultancy page.